Your support and participation will be much appreciated. For information, please call 416-786-9255. 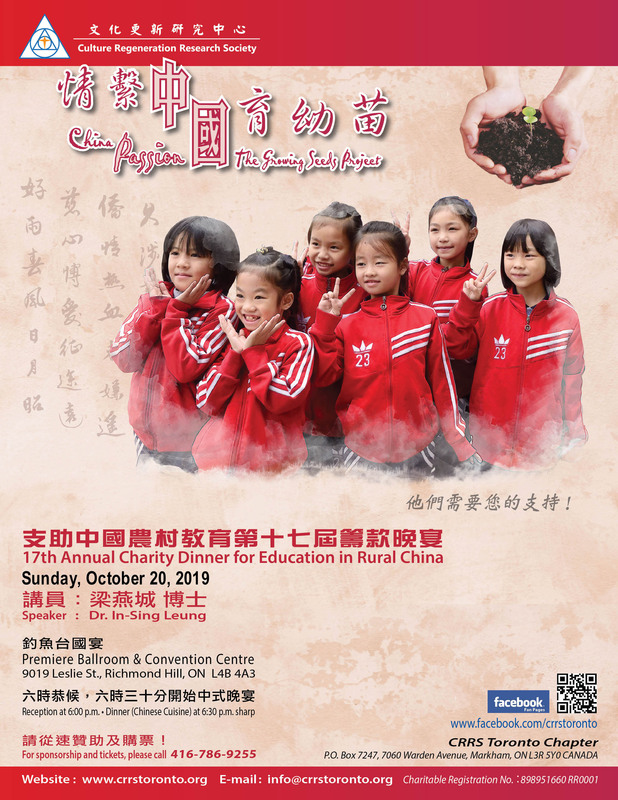 A soft copy of the Program Book with advertisements will be displayed for a year from October 2019 to September 2020 on https://www.crrstoronto.org/. * Please e-mail your logo and digital/camera-ready artwork to: info@crrstoronto.org no later than Monday, September 16, 2019. Please call 416-786-9255 for any inquiries. According to Canada Revenue Agency’s regulations, there will be no tax receipts issued for all the above sponsors. Invoices will be issued.